Who doesn't want fabric! 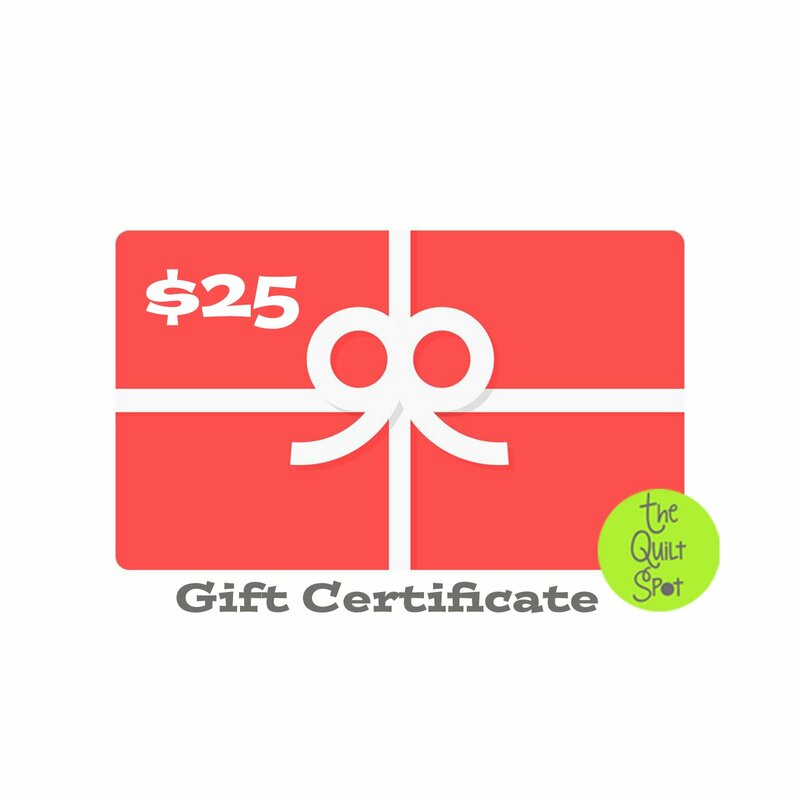 This is a Gift Certificate that can be used toward any of our programs or products. Just put this item in your cart and check out like a normal transaction. The system will send you a temporary receipt. We will then send you an official printable gift certificate with your information and a unique identification number within in 24 - 48 hours. This number can be used to check out on our website, or we can put it on file for one of our Block of the Month programs. How much does a Block of the Month Program cost? It really depends on the program. Most programs run between 8-12 months and each month costs between $ 15-20. What if I want an amount I don't see here? If you want $ 75, you can add a $ 25 GC and a $ 50 GC into your cart. We'll combine them when we send you your unique identification number. If you want a complete program amount and you are not sure what the total cost would be, just email us and we'll get back to you.